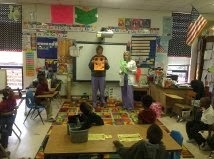 Mrs. D. Smith's student intern, Kayla Dewberry, from MUW has invited Mitchell Dental Clinic to visit their Kindergarten class. 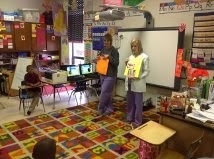 Jessica Heard and Laurie Wright gave a "How to keep your teeth Happy and Healthy" presentation to their class. 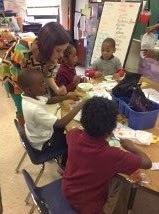 Students even had a chance to actively participate with the presentation by brushing dyed eggs to remove the "plaque"!